George Soros’s The Crisis of Global Capitalism became an international bestseller and an instant classic; a must read for anyone concerned with the complex market forces that rule our global economy and create both prosperity and instability. Now, in Open Society, Soros takes a new and provocative look at the arguments he made in that book, incorporating the latest global economic and political developments into his analysis. He shows how our economic and political arrangements are out of sync. Recognizing that our existing institutions are under the sway of sovereign states, he proposes an “open society alliance” with the dual purpose of fostering open societies in individual countries and laying the groundwork for a global open society. In leading up to his inspiring vision, Soros presents an iconoclastic view of the world that has guided him both in making money and spending it on his network of Open Society Foundations. This book sums up the life’s work of an exceptional individual. 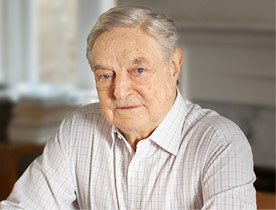 George Soros is the best fund manager in history, a stateless statesman, and an original thinker.